Now a days everyone like to use GPS on their android or GPS devices to search for a location. There are so many GPS apps and gadgets available to make your life easy. Google Maps is the best tools to locate and address or business location. Now a days Google map is necessary part of every business to share it`s location with customers and it help bring more business as potential buyers can easily reach business offices with exact roadmap. It shows you the default embed code of Google Maps. This embedded map is not responsive. Which means you have to scroll the page horizontally if you open it on phone. So here I will share how you can make Google Maps Embeds Responsive. Now to make it responsive, you just need to add few lines of CSS to your webpage and embed IFRAME. This new embed code is responsive style. Google Toolbar PageRank Officially Dead? Now you can copy the new embed code and paste it in your own website,where you want to show your map. 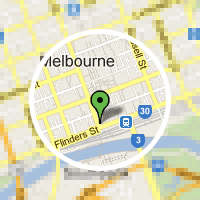 So you see, it is very easy to embed a Google Map on your blog or website. If you do have any question, feel free to ask via comments.